Welcome to Judie's Kooma page. My spirituality is reading the tarot and angel cards. I have been reading internationally and locally for twenty years. I am a self employed reader and people come to my house for readings. I specialise in love, relationships and career readings. I am a natural healer and spiritual coach, I rely on my spirit guides to come through the cards and help me read. As a tarot reader< i feel a great level of satisfaction to be able to clarify my clients concerns providing a reassuring voice amongst likes confusion. It gives me great satisfaction to use my intuition and psychic gifts which have been passed down through the generations. I like to help people through their troubles, happiness and life events, to guide them and never to judge. I have the ability to help, heal and teach people to help themselves. Clairvoyant, medium, angel cards, healer, spiritual coach, tarot and love tarot. I am a tarot and angel card reader, spiritual coach and healer. I see, hear and feel spirit and I am sent here to give you clarity into any situation. I have a natural ability to connect with people and do this to the highest standard. As a child from the age of six, I found it easy to channel into peoples energy fields and I come from a long line of psychics, my maternal grandmother being of gypsy origin. When I came across a pack of tarot cards it was as easy as reading a book and I realised I had a gift, I must use this gift. It was a natural thing because my mother and grandmother encouraged me and I saw them reading from then all the time. Since I was young I knew my intuition was heightening as I became more sensitive to those around me, sensing emotions without even trying. I have read the tarot and angel cards for twenty years and have read for people locally and internationally. I am non judgemental and work to remove issues to find clarity. I was reading for a guy at home and told him exactly who was coming into his life, I described her and and picked up every characteristic about her. I also told him about his job situation and knew that there were difficulties, but I told him that he would change his job. He came back to me and told me these months later that everything came true & happened exactly as I predicted. Spirit speaks to me through the cards. They are my spiritual tool. They prompt, guide and tell me what to say. I use the suit of cups, feelings and emotions. The suit of cup describes the shifting and ever changing world of feeling. The suit of cups is connected with the element of water. I am clairaudient, clairsentient and clairvoyant. Mental images in my mind as dreams, auras or apparition experiences. I use the tarot as my healing guide and use my angel cards. The tarot can help you understand your problem and what to do about them. Spirituality is important to me in my life because it conveys a sense of peace and security and it comes to me in the form of shapes, colours and auras. Angel cards are guardian angels messengers. Archangels are messengers from the creator to the created, who help us with every area of our lives. Thanks, Judie. It's good reading. Picked up my job and my partner's situation nicely. Definitely call you again. 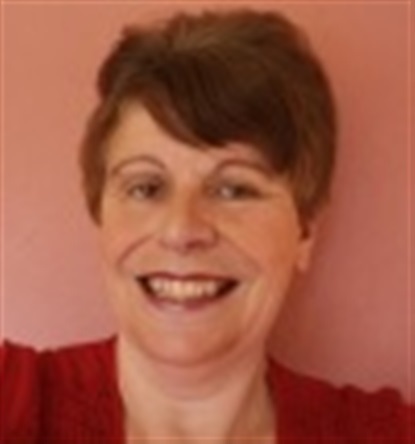 I always have a good reading with Judie, with a few golden nuggets of psychic insight thrown in when you least expect.